After pickup and your local hotel, we drive to Little Cottonwood canyon for the best sightseeing in Utah, these are the Utah Rocky Mountains. Driving up the canyon learning the history of the Utah Rocky Mountain range that runs through Utah, also known as the Wasatch Mountains. We stop at Snowbird Ski Resort where we have time to do scenic walking and hiking or ride the mountain tram (not included) to the top of 11,000 feet to hidden peak. After we are done we drive back to Salt Lake City and drop you off at your hotel. Enjoy a complimentary pick up and transfer from your hotel. Enjoy a scenic drive through the salt lake valley on the way to the Little Cottonwood Canyon. Drive up the majestic Utah Rocky Mountains to the snowbird ski and summer resort. 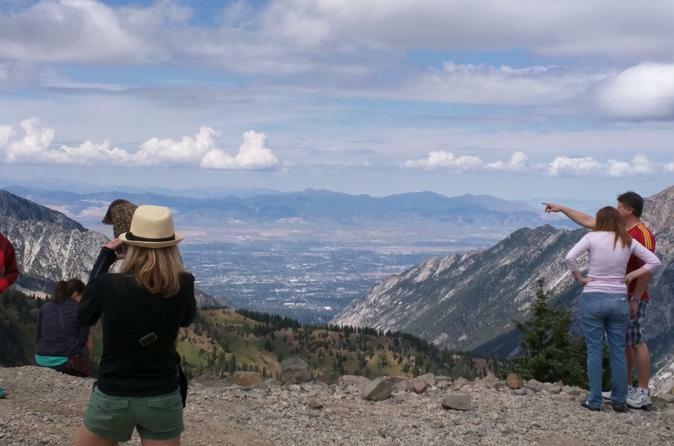 Take a scenic walk out to the lookout point that over looks the Salt Lake Valley or ride the mountain tram (tram ticket not included) to the top of 11,000 feet to hidden peak for a great view of the Rocky Mountains. Lots of wild flowers and wildlife to see along the way. Tour last about 3 to 4 hours and then we return back to Salt Lake to drop you off at your hotel.